After having my current rig for 6 years I decided that I needed an upgrade, but I didn't have a lot of money. So what is a guy to do? Answer, reuse your graphics card and hard drives to save money and throw the idea of overclocking out the window. So I went on a hunt to meet these needs. First on the hit list was AMD or Intel, at the time the only real choice was Intel and since I didn't want to overclock the best bang for the buck was the i5 line. I watched and read many reviews and figured that since I was u[grading from an old AMD chip and not an existing i5 it made the most sense to go with an i5 7000 series. 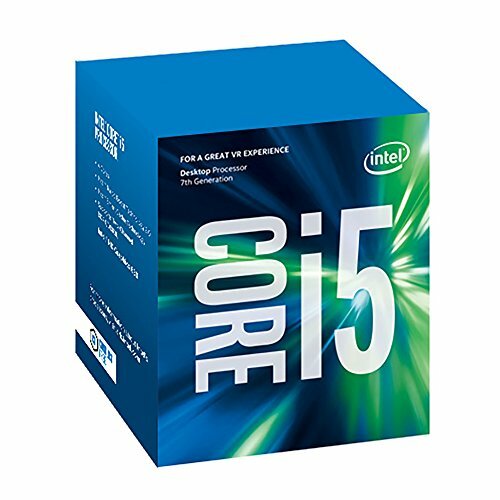 I almost picked the i5-7600 but I noted that the increase in performance from the i5-7500 was really small and the price jump was noticeable. So, i5-7500 it was. With that decision made, off to motherboard land. This is where things really went crazy, with hundreds of choices it took quite some time to narrow it down. my desire for USB-C support took out a large number of options, nearly half. I didn't really want to have to patch the bios to use my CPU so that meant I was looking at the 200 series boards. Down from hundreds to dozens my choices started to get harder. Keeping in mind I never wanted to overclock I disregarded the Z series boards. Since most B series boards don't have USB-C and I was looking for full sized ATX, this left a few B and mostly H series boards. After doing all the research, I found that ASUS consistently had good reviews across most or their boards and the ROG STRIX line was, while not their top tier, still very good. So STRIX H270F it was. Onto the memory. Without a K series board I was topping out memory speed at DDR4-2400 so that cut the number of options way down. Since I want to keep this system as long as I can, I decided to top out my speed at 2400 so I was left with about a dozen or so options. This more than anything else was left to personal preference. I have always liked the look of the Vengeance RAM and the all black RAM I picked was no exception. Since I currently had 8GB I wanted to up that in the new system so I went with 16GB. I did so some research and looked at some reviews but it looked like in the 2400 space all the main brands were more or less that same. 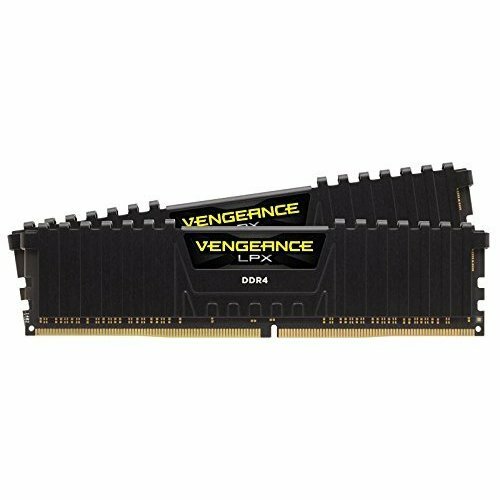 Not wanting RGB on my RAM, the Black Corsair Vengeance LPX RAM it was. 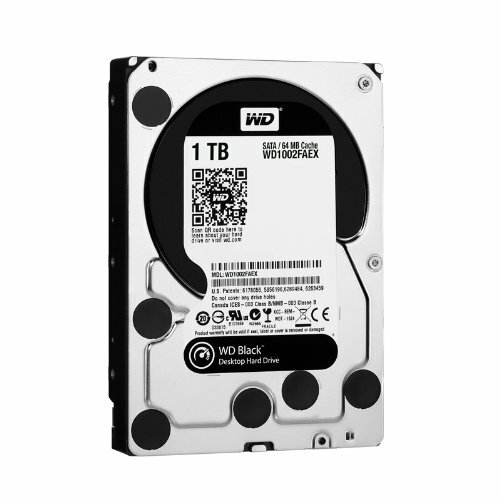 Hard drives came from my old system which had over the years gotten new drives as the other ones died. I really like the performance vs price of the Samsung 850 EVO series. When I replace it I will probably get a M.2 running over PCIe since by then the price should come down a bit. The graphics card was replaced a couple of months ago, it used to be a GTX 550 TI. The GTX 1050 TI was a significant improvement and the one from EVGA came factory overclocked. It has been performing well and I have had zero issues with it. I love the "stubby" card look this has since it makes the entire build look a lot more organized and doesn't need extra power. For the case, it was love at first sight. I was looking around for a new case and came across a best of listing. Smack dab in the middle of the list was the Phanteks P400 black. 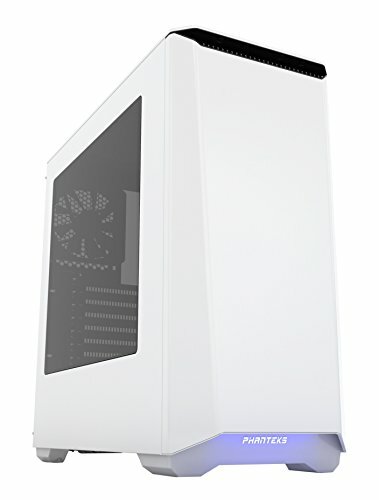 The review noted a bunch of cool feature and when I took a look at the Phanteks website and saw the white version I was sold. The excellent cable management and the super easy assembly were added bonuses. The included cable straps worked great. The only draw back is the kind of ****** user manual that was included. I had to google/youtube to figure out what some of the connectors were for on the inside. When I sent to buy it, the P400S was on sale and made it cheaper than the regular P400 so I went with the S to get the sound dampening material and the fan speed control button. The power supply was easy to pick. Knowing that I was never going to overclock and that the 1050 TI can't be SLId I know that anything over 600 was a complete waste. I had read a lot of good reviews about the G2 line from EVGA and I knew that I wanted modular. I also didn't want anything below 80+ GOLD rating. 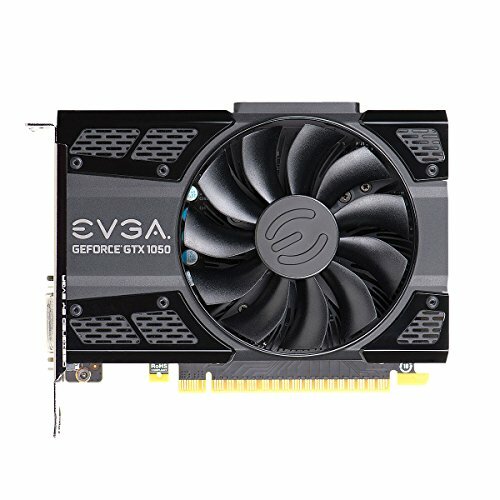 So the intersection of those things was the EVGA SuperNOVA G2 550W. The part that gave me the most grief was the WiFi card. Beyond the fact that most people recommended I drill holes all over my house to route Ethernet rather than get a WiFi card, actually finding a card that supported AC at a reasonable speed left me with very few choices. It narrowed down to the ASUS and TP-Link. Further investigation into what chipset they were using showed they are actually the same card. ASUS had opted for an external antenna array and a slightly different board design. So price for performance TP-Link one. I was a little nervous since the reviews noted several issues with Windows 10 but on a clean install of Windows 10 with the drives from the TP-Link site everything is working. My Windows 10 license had been associated with the Outlook account so I just had to log in and let Microsoft know that I changed hardware and the license transferred over fantastically. So I got down to building it, I assembled the CPU, Cooler and RAM outside of the case to avoid have to stick my hands into awkward positions too frequently. I was shocked by how hard I had to push down to get the CPU seated and shocked by how easy the stock cooler was to install. No issue installing the RAM, I did end up doing this before I did the cooler, but that turned out to not be needed as there was enough clearance anyways. When I installed the power supply I did install the cables first as the amount of room is limited due to the PSU shield on the case. The only strange part was the SATA power connector. Turns out there is a fan controller in the P400s model so all the fans where chained together and then this connector supplied power to them and the controller. So I chained it off the power from one of the hard drives. Amazing little chip. Very much worth the cost. It blends the perfect mix of performance and cost. Very easy to install and the stock cooler was easy to install as well. Fantastic board with enough space between components so assembly is easy. Supports USB 3.0 on board and has two M.2 slots. I am indifferent towards RGB lighting in general but I like the muted nature of the lights on this board. They are only a thin strip on the back near the RAM. The PCIe slots also offer lots of configuration options which was great because I wanted the WiFi card far away from the graphics card so they had higher heat isolation. Great layout and availability of fan headers also makes it easy to install a lot of different fans and get the RPM information for all of them. The BIOS was very easy to use and understand and comes with EZ mode that acts more like a dashboard if you are looking for one quick bit of information. Looks great, performs great and is not very tall. The heat spreader is only slightly taller than the RAM board so huge coolers should actually fit over top. Performs great. It was super easy to install and has resulted in cold boot up times of only a few seconds, most of which seems to be the BIOS running. Performs fine, seems to be doing exactly what you would expect. 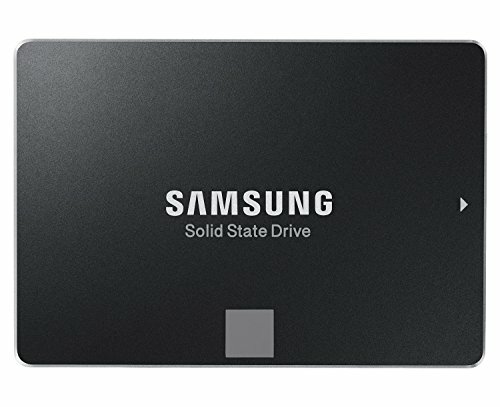 Given the ever decreasing cost I would probably just go for a larger SSD next time. This is an amazing little GPU. It does exactly what I need and supports multiple external monitors which makes the times I have to Code and home so much easier. No RGB or other colour cycling, which I don't really care about. It came factory overclocked which was nice since I don't really want to spend the time to mess with overclocking the parts of the system. I think the only negative, which is something I knew about before buying it, is that most VR software does not allow this card. Usually you need a 1060 or up. So nothing too serious but something to keep in mind. Fantastic case, the front usb 3.0 is great for those times you have a thumb drive and don't want to go digging for the base of the case. The white paint coating is great and does not show finger prints at all. The sound dampening is noticeable but if the case is at full price I am not sure it is worth it if you don't need the slight db reduction. The toolless HD bay worked like a charm and the slide in SSD mounts also worked great. The included Velcro cable straps were fantastic and I only ended up needing one more once the entire build was done. I would recommend this case to anyone who wants to build their own. With the number of options between colours, silent/standard and tempered glass/windowed/solid sided there is something for everyone. This came in exquisite packaging so nothing was damaged and everything was pristine when I opened it. Everything was very well organized and very clearly labeled. The power supply itself is noticeably heavy and made of very solid material. This is my first module power supply so I can't say for everyone but the instructions were very clear and made it very apparent which of the cables I needed and the labels on the PSU made it obvious where to plug them in. The black covering on the cables makes them very easy to work with and the internal cables. I will definitely buy this again when I upgrade in the future or if I build for anyone else. If there was a 4.5 I would have rated that. This works exactly as advertised after a fashion. If you are using windows 10 you must download the drivers from TP-Link's site. Once that was done and I restarted the machine everything just worked and I am getting great performance, equal with when I was on Ethernet on my network. nice build! looks good! but i wouldnt recommend buying a mini gpu if you dont need to but if you are fine with what you have its okay :)! 1+! I am curious what's wrong with mini GPUs? Is there some performance hit or something? I didn't end up trying to get it to work. I was happy with the subtle color since it is only a single line coming from under the board. Sorry I couldn't help more. What type of Monitor are you running? You mentioned Overwatch if you have a 144 Hz are you achieving around 144 FPS? I am using two LG 22MP58VQ monitors. It's a 60Hz IPS panel.